Our 2017 Book Fair launches next week in the LRC. Pop by to check out the latest offerings from Scholastic! 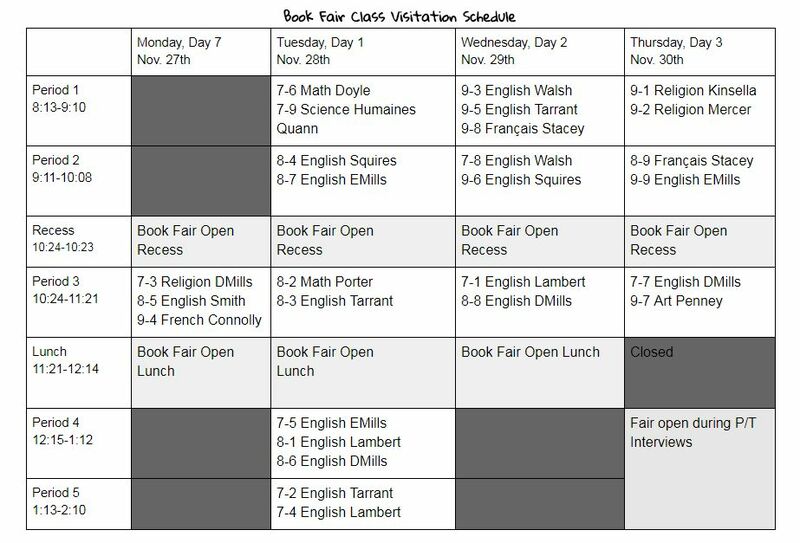 The Book Fair will be open recess and lunch next week for you to come by and see what we have for sale. As well, every homeroom will get a chance to visit (see the schedule below). The book fair will also be open on Thursday, November 30th, during Parent-Teacher Interviews for their shopping pleasure. Want to buy a book for a favourite teacher’s classroom library? Gift lists will be available! For more information, see Ms. Power in the LRC.